A few people have asked me what I want to achieve from a term as BPS President. The campaign to turn the BPS into the Royal College of Psychologists is now rather quiet, but it continues to offer a vision for the role of the Society – to take its place with calm authority among the respected agents of civic society; to be one of the core institutions of professional and public life. Assiduous readers of The Psychologist will also have seen that I have attracted some constructive criticism about what is perceived by some to be a political stance. I am strongly motivated by the philosophy that, when faced with policies that impact on our profession, and on the clients we serve as professionals, it is at least as much of a political statement to say or do nothing as it is political to speak out. I don’t think the BPS should tacitly support injustice through inaction, but instead we should promote the Society’s charitable objects ‘…the advancement and diffusion of a knowledge of psychology pure and applied…’ in the best way we can. Over the past month, we’ve seen collaboration with the Royal Society to discuss the robustness and replicability of our science, and several appearances of BPS members at events in the Houses of Parliament, including a party on the terrace of the House of Commons, celebrating the 50th anniversary of the Society’s Division of Clinical Psychology. We’ve been present in the print and broadcast media, and (in what is likely to lead to more angry correspondence) I took the opportunity recently to march through the streets of York, alongside colleagues calling for proper investment in mental health services in the city. It is ridiculous, in one of the wealthiest nations on earth, to be fighting for the most basic of social services. My most recent engagement was to sign, alongside the Minister for Care Services, Alistair Burt MP, the STOMP pledge, a multidisciplinary campaign to stop the excessive use of psychotropic medication for people with learning disabilities. Despite our best efforts, some things are difficult to measure. But my strong impression of that event was that the BPS has started to achieve the authoritative civic presence we desire. The next few months will see more of the same – consultations on the replacement of bursaries with loans for many healthcare students, and the resources necessary to deliver commitments to increased access to psychological therapies in the NHS, multi-professional action to promote perinatal mental health and the psychological wellbeing of both the NHS workforce and employees in general, the promotion of psychological understanding in the criminal justice system and working with our colleagues to embed multidisciplinary, co-produced, formulations in health and social care. Our peers respect the values, professional skills and science that psychology can bring to such campaigns. But, I would argue, we need to be actively engaged rather than merely comment from ivory towers built around the distant perimeter of the field of play. 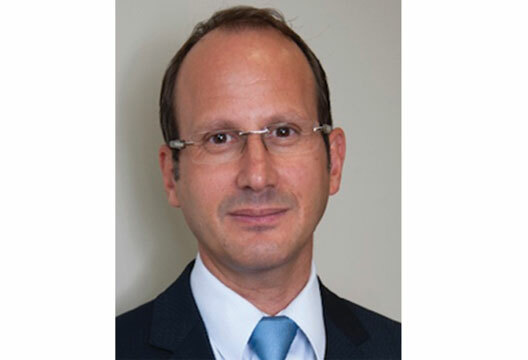 Peter Kinderman is President of the British Psychological Society. Contact him at [email protected] or follow on Twitter: @peterkinderman.